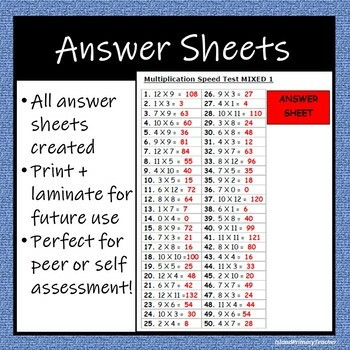 Pack of seven mixed times table speed tests. First 4 are mixed up with 2/3 times tables to allow teachers and students to see where the weak areas are. 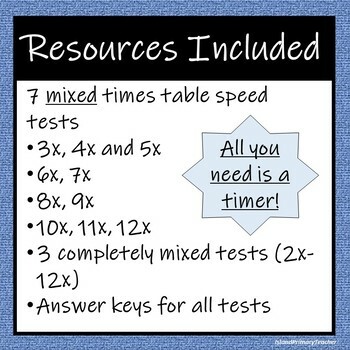 Then 3 completely mixed tests with all times tables from 2x to 12x. 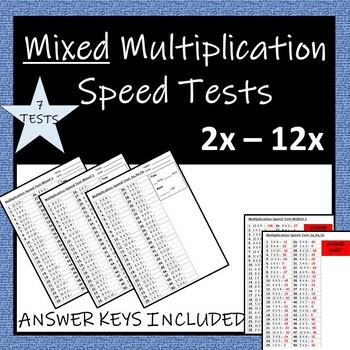 •3 completely mixed tests (2x-12x) - Named Mixed 1, Mixed 2, Mixed 3. 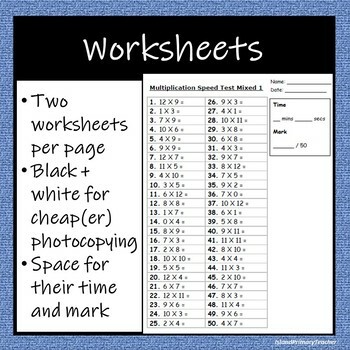 To go along with my Times Table Speed Tests. All times tables kept separate.